Column: How will brash Rams cope with wily ol’ Patriots? It’s all new to most of them. Will the brash young Rams — with a sweatsuit-wearing coach, Sean McVay, who is half Belichick’s age and a quarterback, Jared Goff, who doesn’t remember Brady’s first Super Bowl because, well, he was only 7 years old the time — find themselves overwhelmed on the big stage? Are the wily ol’ Patriots — making their ninth Super Bowl appearance in 18 seasons and already possessing enough rings to fill out an entire hand — simply too experienced to slip up against a team that has virtually no track record at this time of year to fall back on? “Probably throughout the week, it gives them an advantage,” Whitworth conceded. “They kind of know this week. They know when things are a little anxious, when to kind of, hey, turn it on and get ready to play. They probably have a process and a plan for the week. Those who are quick to declare that the Rams are just happy to be here, perhaps after watching McVay toss balls toward a kid hoisted onto an adult’s shoulders and wearing a goalpost-shaped hat, might want to consider all they’ve been through. A season ago, they suddenly emerged as one of the NFL’s most exciting young teams, improving from 4-12 in 2016 — their first season back in Los Angeles after two decades in St. Louis — to 11-5 and a division championship. Then, in the first-round of the playoffs, they were upset at the Coliseum by the Atlanta Falcons. They went 13-3 to capture another division title and a first-round bye. They knocked off the Dallas Cowboys for the franchise’s first playoff victory in 14 years. Then, playing in one of the league’s most hostile road environments, they rallied from an early 13-point deficit to beat the New Orleans Saints in overtime. New England is not unbeatable, of course. They’ve actually lost three of those eight previous Super Bowls, and every single one has been a nail-biter, the average margin barely more than four points. 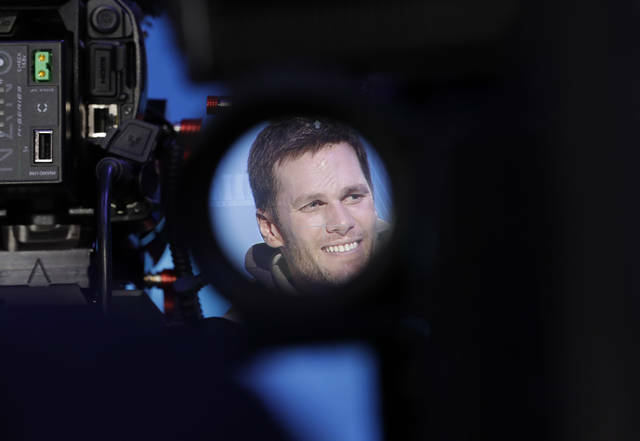 But the Patriots carry themselves with a haughty aura that they’ve more than earned. A team that shows the least bit of timidity or uncertainty will likely find itself beaten before taking the field. Even with all those titles on their resume, Belichick and Brady seem as driven as ever. 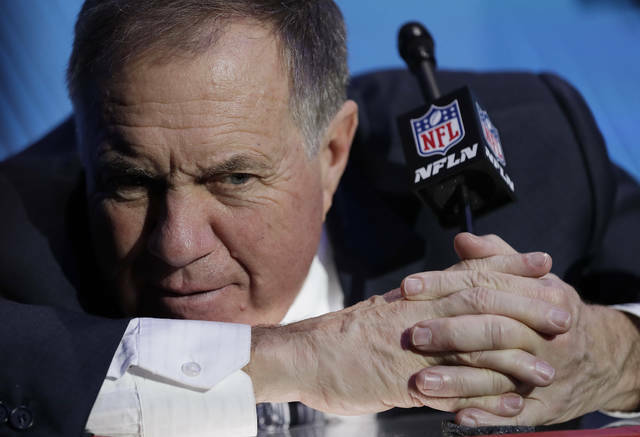 With his gruff-meter turned up to full blast and wearing a dark suit that would’ve worked just fine at a funeral, Belichick scoffed at a reporter who questioned, innocently enough, how he managed to avoid burnout. He brushed off a wide range of queries with his standard “I’m only focused on this game” retort. He refused to play along with any attempts to crack his grim veneer. 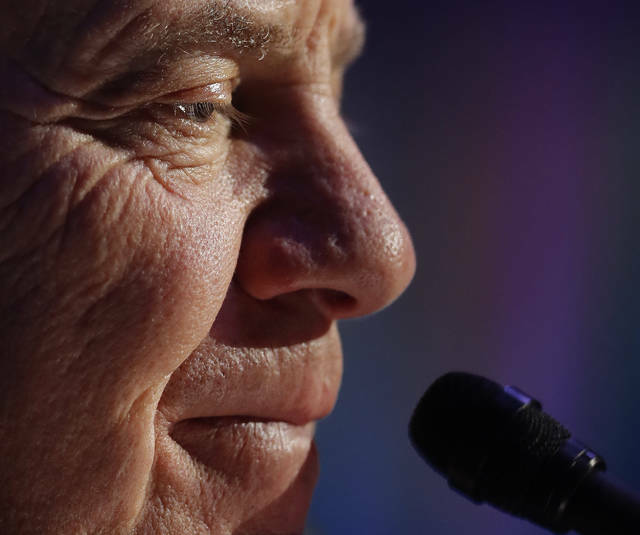 “Ask me a football question,” Belichick demanded. We’ll see if that makes a difference comes Sunday. “I think experience helps. But I don’t think it will be the deciding factor. Yeah, they’ve been to this game a lot. But they haven’t played this team,” Johnson said, looking around at a group that has come so far.